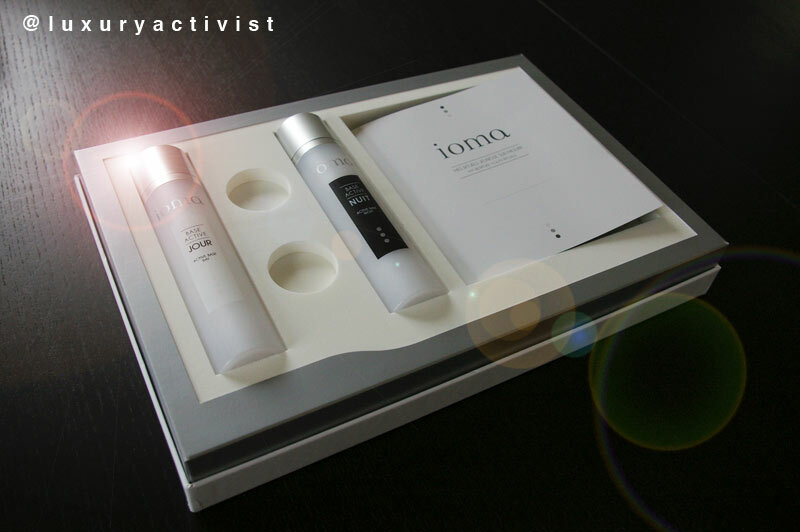 Last Month we got an invitation to discover a new skincare brand called IOMA PARIS. 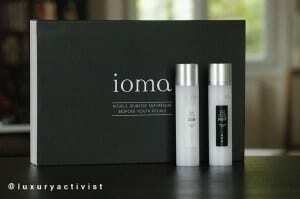 They describe themselves as the first real “Evidence-based” skincare brand. 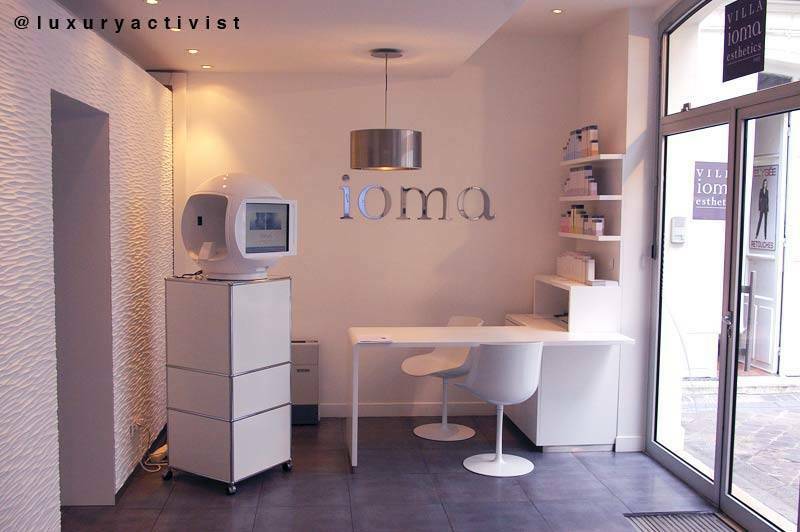 According to the brand, IOMA debuts a revolutionary and innovative skincare concept with proven and measured results. Take the guesswork out of the effectiveness of your skincare regimen through use of the most advanced imaging and probe-based technology, combined with targeted and customized skincare regimens, for an entirely customizable treatment program with quantifiable, optimized results. 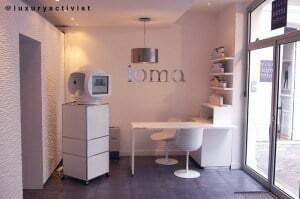 The pioneering project of an inspired visionary, Jean Michel Karam, Phd, IOMA ’s evidence-based approach to skincare diagnoses complexion imperfections, constructs customized regimens for care of the skin and measures and quantifies the effectiveness of its protocols. The brand was born via the amazing meeting of Hightech experts and Beauty professionals. Different know hows that would bring to life an amazingly simple concept: Beauty by the evidence. The skincare business is a very serious industry compared to Make-up or even Fragrances. The customer benefit needs to be described, felt and proved. That is why not so many new comers can dare make their place between giants like Estée Lauder, Lancôme or even Clinique and Dior. 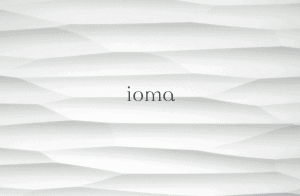 Here in this case, IOMA does not ask to the customer to believe on them, the customer can check by himself. In order to crystalize all these know how, the brand opened a very special place called VILLA IOMA. 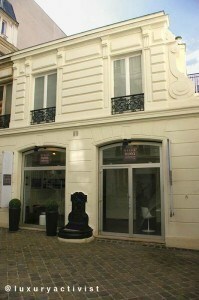 Just a few meters from Champs Elysées in Paris (so chic) the Brand opened a beautiful place that welcome some happy few. While the crazy energy of Champs Elysées pulses each day, at Villa Ioma, you can find a little paradise behind one of these huge parisian doors. Everything is prepared to makeyoufeel good and relaxed. The place is decorated with taste and they succeed to find the right balance between the modern high-tech concept of the brand and yet a nice feeling of wellness. The Villa is animated by a team of very professional beauty advisors and therapists. Ms Dallacasa is the Villa Director and she spread among her staff a kind of family spirit. They already have regular customers and we can easily understand that once we try, we become loyal. Officially, the Villa does not accept men for the moment, only under strict personal invitation (which was my case, so I really felt lucky). Different treatments are possible, from body to face. At the welcome area, we can already see the first machine, iMac-look-like. Very futuristic. 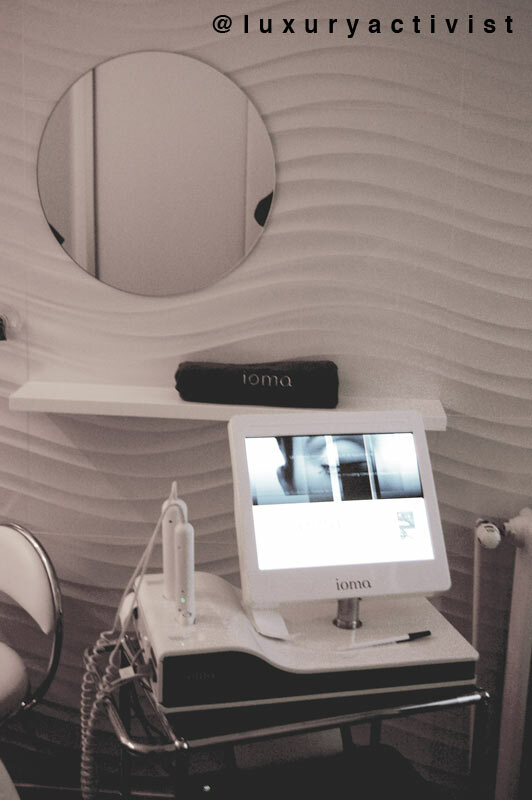 With this machine the beauty advisor and therapist can already make a first raw-diagnostic. In a few minutes, you discover more about your skin in the past 10 years… that was my case. Then, you are invited to join one of the treatment cabins. There you have another machine that help you get more in depths on your skin. The great part is that you are not left alone with the machines, these are just a way to get more knowledge. The most important part remains on the dialog created between the beauty therapist and yourself. The more you learn about your skin, the more you confess your worries, aims… a real confident relationship is easily established. I was very lucky and got the chance to try one of their premium services: The 100% personal customized formulas. 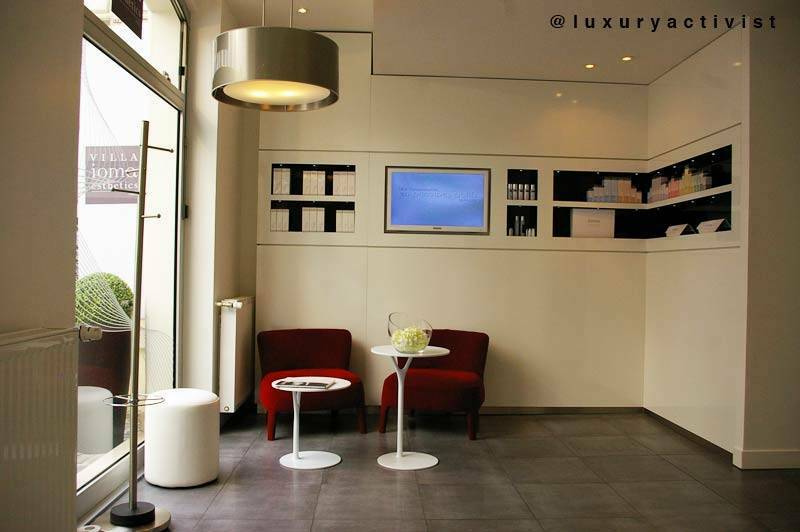 Out of more than 800 possible combinations, you can have your personalized skincare treatment, made on the spot just for your skin. It is called the “Bespoke Youth rituals”. A expert therapist blends the different actives in order to create a Day cream and a Night cream.I think this is the ultimate luxury in terms of skincare: Your own treatment cream just made for your skin. You will see here below a video by the brand introducing the universe. 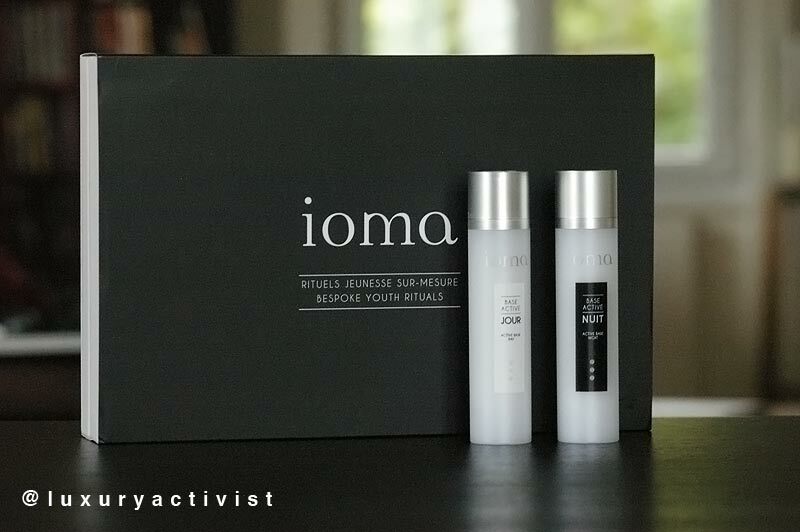 3 countries have the chance to distribute IOMA products: France, USA and GREECE. The aim of the brand is an international roll-out step by step, so that they can keep the quality of their distribution while they increase the point of sales. 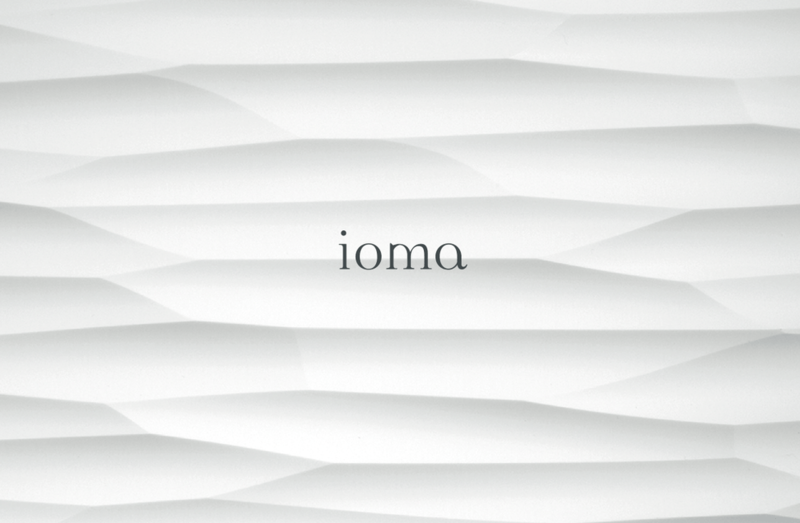 Check the official website of the brand for more details: www.ioma-paris.com. Ready to discover more about…. yourself? 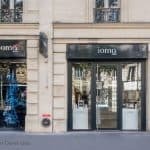 Luxury Blog: IOMA Paris opens new store in Paris – A temple to beauty. USA FiFi Awards… stay tuned.